Although LED bulbs have been in use since 1960 they have really become popular in the last decade or so. Now commonly used in homes and offices, they’re no longer confined to industrial applications only. As you go to replace that incandescent light bulb, here are some great reasons why it might be time to consider switching to LED bulbs. Before we jump in to the top reasons to switch, here are the popular types of bulbs available today. While incandescent and compact florescent (CFL) are the most common bulb types, there are a few other types of bulbs available. 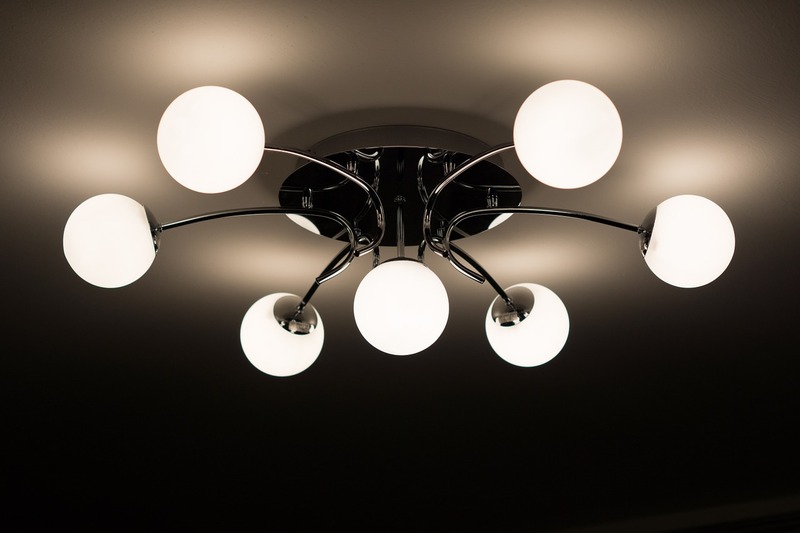 Sure, you’ve heard that LEDs are more efficient than the traditional CFL bulbs. But how? LED bulbs were originally designed to be used in toys and small electronics powered by batteries because of the tiny amount of electricity needed to power them on. But a single LED also doesn’t emit a huge amount of light. Bulb manufacturers cluster several LED bulbs in a single lamp and add lenses and reflectors to maximize the light output. Traditional CFL and incandescent bulbs are rated for ‘Watts’ which is a measure of how much energy the bulb draws. This isn’t an accurate measure of how bright or efficient the bulb is. For example, a 60 W incandescent bulb produces the same brightness as a 8-12 W LED bulb! A 16.5-watt LED bulb is equivalent to a 20-watt CFL and a 75-watt incandescent. Specifically, LED lights use about 75 percent less energy than incandescent bulbs. They also last about 25 times longer than traditional lighting! According to the Environmental Protection Agency (EPA), if every household in America replaced just one incandescent bulb with a CFL, the energy saved would be enough to light 3 million homes and prevent greenhouse gas emissions the equivalent of 800,000 cars. A couple of years ago, LED bulbs used to cost a lot more up-front. The cost savings were realized with long-term use with the energy saved and low cost of operation. 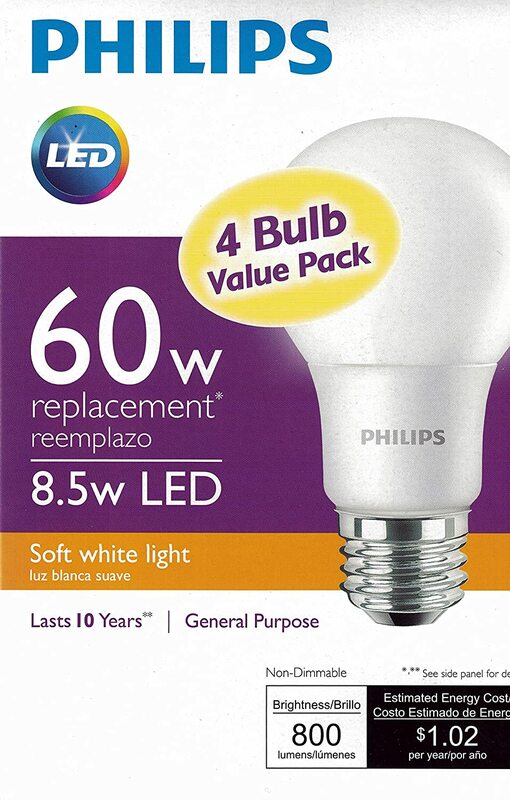 However, with competition, manufacturers are now producing LED light bulbs for as low as $3 a piece! Both Philips and IKEA offer low cost LED bulbs in all shapes and sizes. Not only these are affordable at the time of purchase, since they use up to 80% less energy than incandescent bulbs, the savings in cost over time simply can’t be beat by CFL or incandescent bulbs. Now, LED bulbs can be dimmed and controlled from your phone! Simple energy-efficient LED bulbs are available from manufacturers like Cree, GE, Philips and IKEA. However, LED bulbs also come in a ‘smart’ variant where you can control the bulb from your smartphone or automate the lighting schedule to turn on your lights at dusk or turn them off at dawn. Some top brands include LIFX, Philips Hue, Osram, Elgato and Cree. We recently listed our top picks for smart light bulbs. 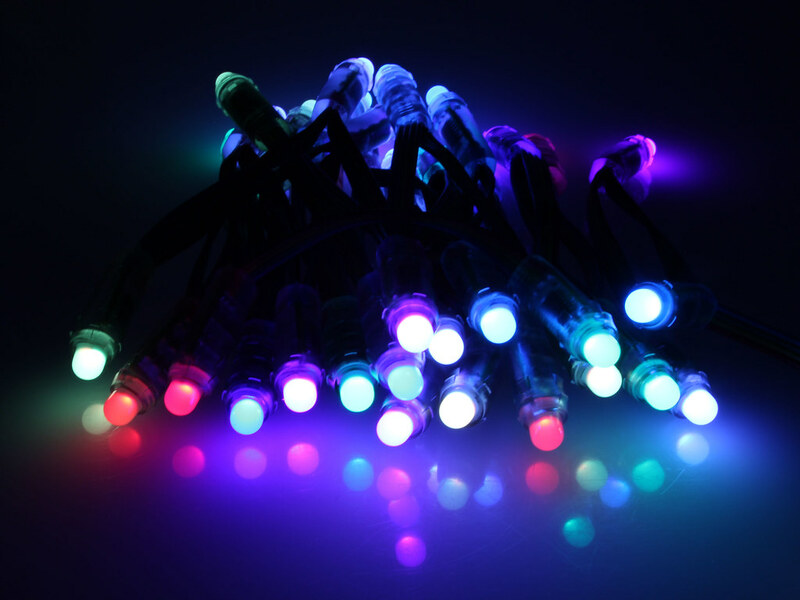 RGB LED bulbs also bring the ability to change the bulb’s color to your liking. Plainly, LED lights provide better lightning than the traditional incandescent bulbs . LED lights emit light in a specific direction which is why there are so many spotlight and down light LEDs that fit into cans and also minimizes the use of diffusers and reflectors to trap the light. If you have kids at home, you know the importance of keeping the children away from touching CFLs or how the overheating of bulbs can lead to fire. But this is no longer a concern with LED bulbs they are cool to touch as they operate at much lower temperatures. Unlike CFLs they don’t need heat to produce light and don’t emit infrared radiations. LEDs have an extremely big advantage over CFL and incandescent bulbs. LEDs can live up to 50,000 hours (5.7 years of continuous use or about 15-20 years of regular use), which is a far cry from the incandescent with a life span of 1,200 hours (50 continuous days of use, approximately). Switch to LED bulbs today!